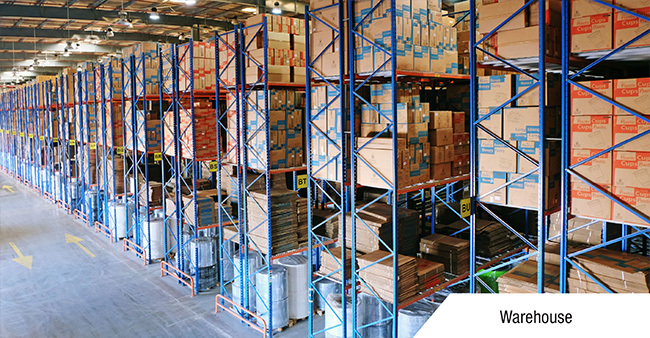 "We started in 2002, bringing in high level of proficiency and reliability in aluminum Scaffolding, equipment rental, equipment trading and services. Since then we should we have pioneering with special emphasis on executing critical projects within time bound scheduled. 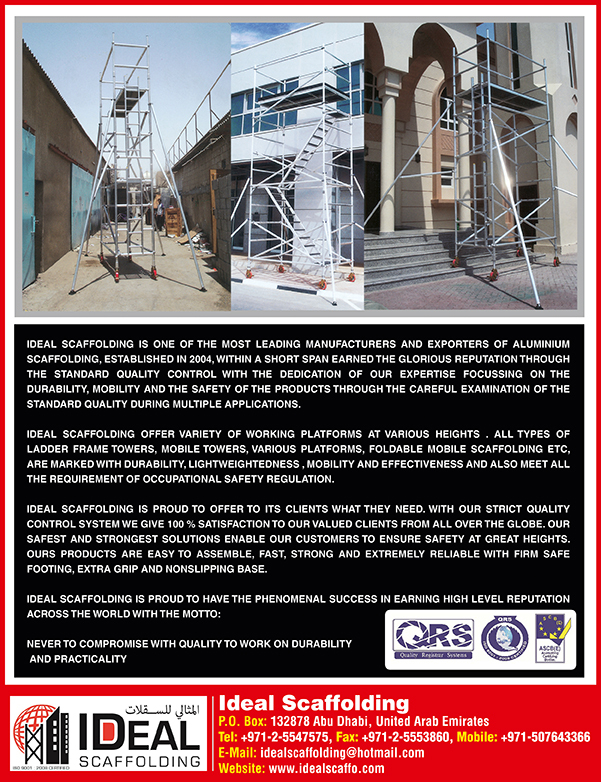 We are specialized in the manufacture of aluminum Scaffolding and tower access Scaffolds. They provide a safe, temporary work platform that meets all requirements for the new occupational health and safety regulations. We offer a variety of solutions that include lightweight aluminum mobile scaffolds, aluminum narrow scaffolds and aluminum access towers." Scaffolding is a framework constructed from steel pipes, timer or bamboo to help construction workers access portions of a building under construction. There are different types of scaffolds and each type of scaffolding has its benefits and drawbacks. Therefore the contractors or construction workers would have to choose the right type of scaffolding based on the kind of building that is being constructed. Supported scaffolds, suspended scaffolds, rolling scaffolds and aerial lifts are some of the most common types of scaffolding used in the construction industry. Supported scaffolds are most suitable for construction because they provide the required strength and height required to access and construct portions of a building. They are mostly used for the construction of tall structures because extra support can be added to the scaffold if required to increase the load bearing capacity of the framework and are also available at moderate costs. Suspended scaffolds are only utilized when it is impossible to construct a supported scaffold. The scaffold is suspended from the roof of a building and is mostly used to carry out repair work on the exteriors of building and to clean windows. The drawback of using a suspended scaffold is that only one or two workers could use the scaffold at once but it is easy to access large portions of the building with a suspended scaffold. Rolling scaffolds have wheels at the bottom of the structure and can be moved from one location on the construction site to another easily. Aerial lifts are scaffolds that are mounted on vehicles and can be raised or lowered giving workers access to various levels of the same building. They are commonly used for the cleaning and installing of windows and other maintenance work. Some of the most popular locations in UAE to find manufacturers and suppliers of all kinds of scaffolding are Mussafah in Abu Dhabi, Sajja industrial area in Sharjah and Jebel Ali industrial area 3 in Dubai.